Dark circles under the lower eyelids are common in women and men. Often accompanied by puffiness or eye bags, dark circles can make you appear tired and older than you are and, too often, they can be difficult to get rid of simply with more sleep and a better diet. Fortunately, there are a number of treatments to remove eye circles and bags. There are several factors that can cause someone to have dark circles and eye bags and, in many cases, more than one of these factors can contribute to bags and circles simultaneously. The most common cause is a loss of fatty tissue and collagen in the upper cheeks, right below the eye bags. This fatty tissue, which resides just below the skin, is present throughout the face. As you age, it breaks down or “deflates,” in your cheeks at a much faster rate than it does just below your eyes. As a result of this uneven deflation, elevated or protruding bulges of fat remain beneath the eyes; these are the eye bags. Another leading cause of eye bags is a weakening of the orbital septum. The orbital septum is a membrane that “holds” fat under the eye, where it is tucked away from the skin. Normal aging can cause the orbital septum to weaken, and as it does, the fat that is normally confined to the area around the eye can move into the area below the eye. Fluid can also accumulate in the space below the eye, making the under-eye area appear puffy. These factors can cause, or add to, the appearance of eye bags and dark circles. In addition to these causes, some people are genetically predisposed to have extra fat under the eyes; it’s just a matter of heredity that can run in families. Dermal fillers are typically the treatment of choice for eliminating eye bags without surgery. Dermal fillers are gels composed of a substance called hyaluronic acid, a substance found naturally in the body that can restore lost volume (or add new volume) to facial soft tissue. 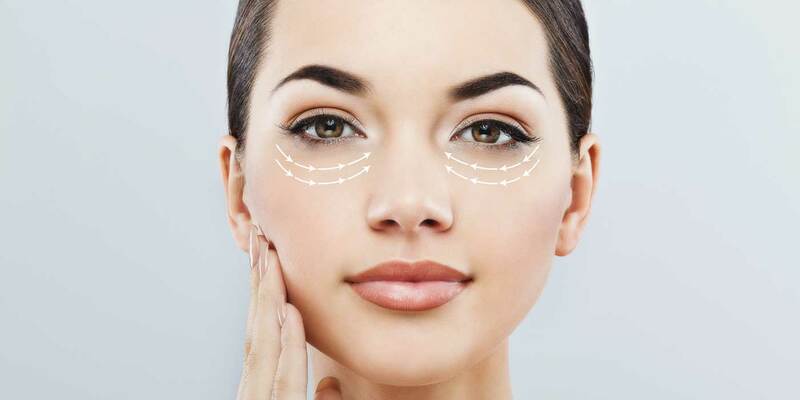 For patients whose eye bags are caused by cheek deflation, dermal fillers can restore the smooth transition from the under-eye area to the cheeks, thereby eliminating the appearance of bags and circles under the eyes. Some patients with excess fat under the eyes can benefit from this treatment as well, depending on their facial anatomy. After a non-surgical eye bag treatment, most patients can return to work the same day or the following day, looking healthier and refreshed. Some patients may experience slight tenderness, redness, and/or swelling during the first 7-10 days following their treatment, but this is less common. During your consultation at our practice, we will listen to your concerns about your eye bags, determine the underlying cause, and work with you to decide on a treatment plan that fits your unique needs and facial anatomy. If you receive decide upon dermal fillers to smooth away your bags, you may choose to have the treatment performed immediately following your consultation. This treatment usually takes just 15 to 30 minutes, and can be done during the same appointment. During a PRP therapy treatment, a small amount of your blood is drawn into a sterile tube in the exact same manner as a standard blood test. The blood is then placed into a centrifuge and spun to separate the plasma and platelets from the other blood components. The production of new collagen induced by the PRP treatment will brighten, rejuvenate and rehydrate the skin under your eyelid even after the first treatment. A course of 3 to 4 treatments is recommended to see the full effects of this pioneering technique. The skin under the eye area is very delicate, and can appear bluish due to microcirculation. PRP mesotherapy injections stimulate circulation around the eye and, as a result, the under-eye darkness will improve. 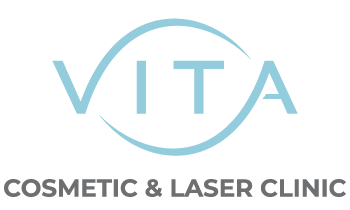 To learn more about our wide range of non-surgical cosmetic procedures for treatment of under-eye bags and circles, please book a free consultation.